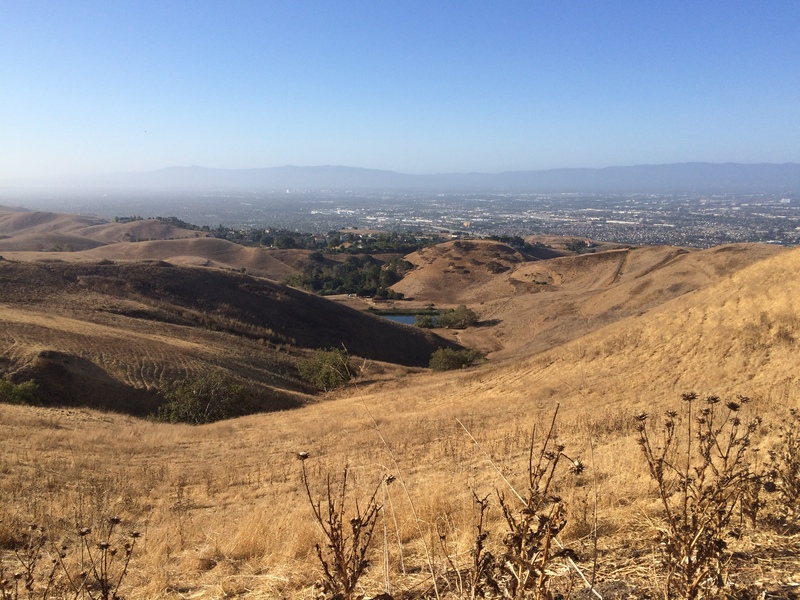 After a few weeks break due to visiting relatives and busy schedules it was good to get back to hiking. 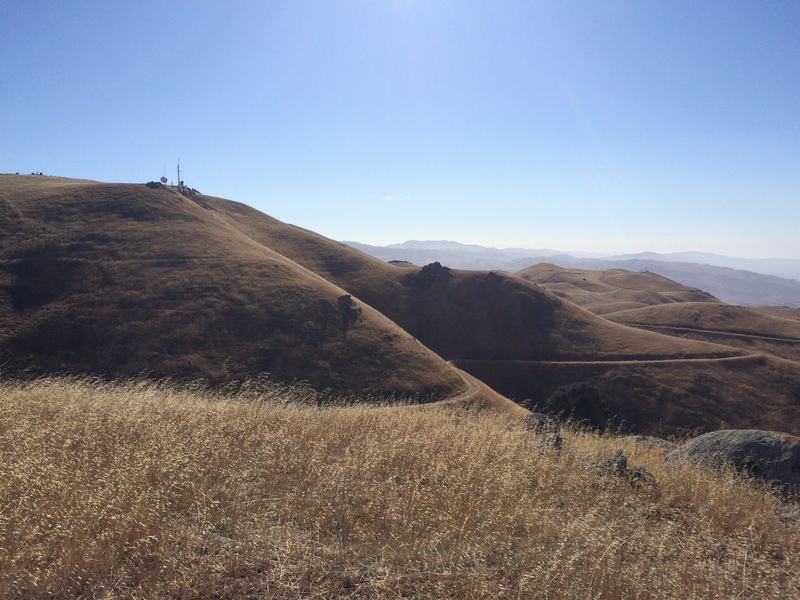 We decided to push ourselves to a slightly longer and more intense hike, so headed to Ed R. Levin County Park and aimed up towards Monument Peak. This meant an early start since we were aiming for a reasonably long hike, and knew that shade wouldn’t be something we’d get much of here. 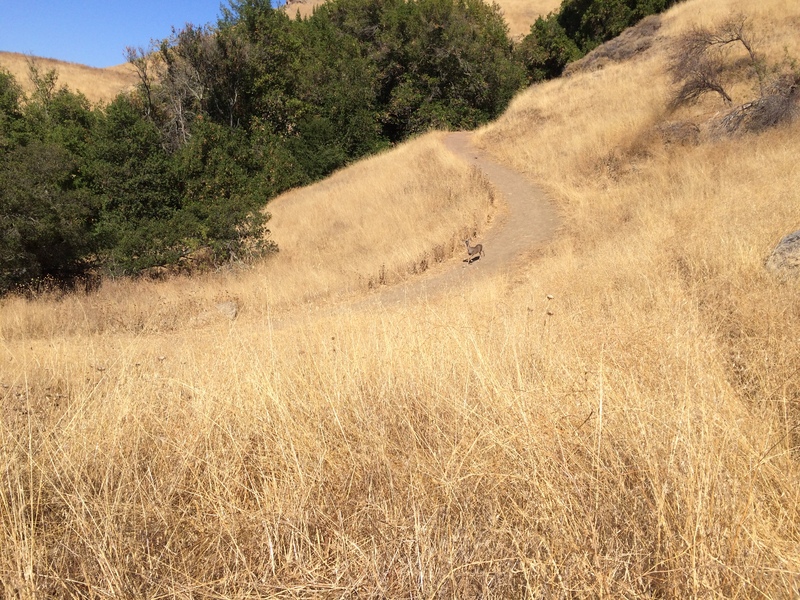 Most of the parks in the east bay are exposed, with very little in the way of tree cover, meaning that it is best to hike in this area either in the early morning or the California “winter”. We set off early enough to allow for a Peet’s stop of course, and still arrived at the park gates a few minutes prior to opening at 8AM. You can download a .pdf of the park map here. We entered the park through the Downing Road entrance driving past Sandy Lake to the parking lot at the far end which has facilities (useful after the aforementioned coffee stop). Starting out heading north on Calera Creek Trail, passing the Hang Glider Landing Zone, we were in for a slow and steady climb turning left onto Agua Caliente Trail as we passed through 1000ft. We were treated to fairly decent views of the bay although it was a little hazy in the distance. After around 2 hours, 2 deer, a cow and a snake later we reached the Monument Peak Road Junction. Here you really are treated to some great views looking both westward to the valley, and east to more rolling hills. 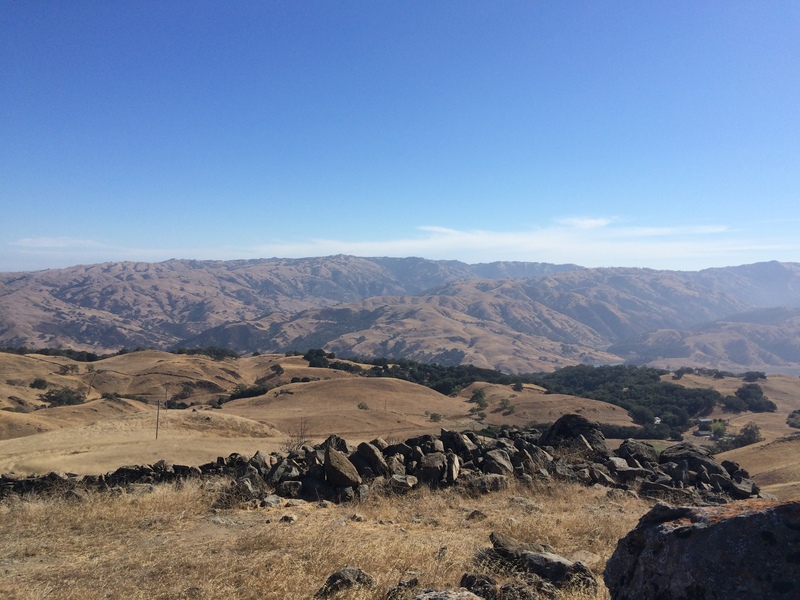 Having decided up front that we wouldn’t make the extra few miles over to Mission Peak we headed south and started making our way back towards the Sierra Trail Junction, but not before taking the short 0.4 mile trek to the Monument Peak at 2,594ft. A couple more deer and another cow later we picked up the Agua Caliente Trail which would take us almost all the way back to the parking lot, with some good views of the Hang Gliders hitting their LZ. We returned to the parking lot via the Tularcitos Trail. It was a great hike to get the blood pumping while ascending those hills, and we finished our hike before the temperature rose too much.